This week’s topic is something I like to call peak set training. The benefits include improved recovery, less stress on your joints decreased nervous system fatigue and ultimately, more muscle growth. How does peak set training work? 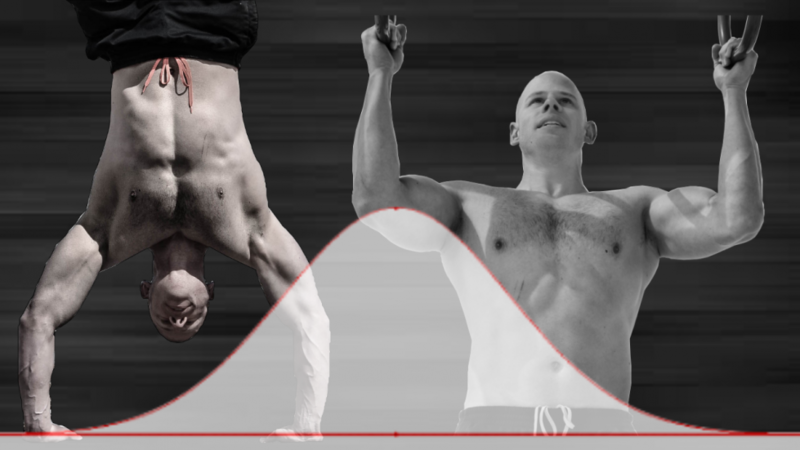 Peak set training uses the natural bell curve that occurs when you do and exercise for multiple sets. When you start doing an exercise, your mind and body start to adapt to the stress of the exercise. This is the warm up period where the sets and reps you do prepare you for the stress of the exercise. Your mind and body ramp up during the first few sets of your workout. This ramp up period is when the amount of stimulation you gain from the exercise increases as you use more resistance and work harder. The amount of stress on your body and mind doesn’t increase much. It might even slightly decrease as you become more comfortable with the exercise. Your peak set, or sets, happen when your mind and body are at an optimal amount of stimulation. Once your mind and body are sufficiently warmed up, you hit a set or two with everything you’ve got. You use as much focus and concentration as you can to milk out as much tension and fatigue as you can from one or two sets. Don’t try to pace yourself or save anything in the tank for future sets. Decline sets happen when mental and physical fatigue starts to build up and reduces the work you can do in the following sets. This is when physical and mental stress starts to increase while stimulation decreases with each set. Decline sets are when you lose energy with each set and the stress on mind and body increases. These decline sets are when you gain less muscle building stimulation with each set. You do gain some extra benefit from each set, but it’s a diminishing rate of return. You gain less benefit while spending exponentially more time and effort. The strategy of peak set training is to start training with warm up sets and once you feel ready, you crush one or two hard sets. At that point, you’re done with the workout and move on while avoiding the decline sets. There’s nothing wrong with doing a couple of decline sets, they aren’t bad for you or anything. They just produce more stress while offering less benefit. Decline sets do bring additional benefit, but it’s a rate of diminishing return. Meanwhile the stress on mind and body increases. Peak set training isn’t about spending as much energy as possible to squeeze as much as you can out of each workout. Instead, it’s about getting the most benefit from the least amount of stress on your body and mind. Avoiding excess stress can help speed up recovery and keep the intensity of your peak sets high. Another benefit is peak set training can help you avoid volume creep where you pace yourself over many sets. While doing a lot of volume can fatigue your muscles, it waters down the intensity and potentially compromises the muscle building stimulation. The result is you only push yourself pretty hard in each set instead of crushing one or two sets with everything you’ve got. Lastly, don’t worry too much about how many sets you spend in your warm up period. Sometimes you’ll be ready for your peak set after one or two warm up sets. Other times, it might take you four or five warm up sets before you’re ready to take on the peak set. It depends on how you’re feeling that day both mentally and physically. Don’t worry too much about doing an optimal number of sets. Instead, practice your sets in an optimal way by putting as much into your peak sets as you can.